Get out of my head... or not? So this writer doesn't listen to much mainstream radio, like none at all - zero. Not trying to sound like a 'cool kid' or anything, it just doesn't happen. Well, this past week I personally spent an inordinate amount of time in a car, like stircrazy Chevy Chase in "Vacation" time, and I only had regional Florida hip-hop stations to musically guide me during this madcap adventure. 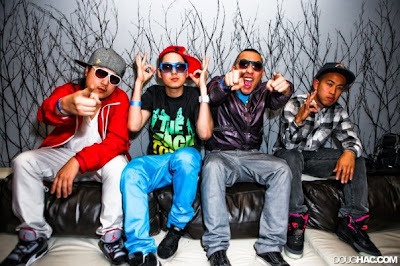 and a little treat... another Far East Movement track, remixed by Hot Pink Delorean.